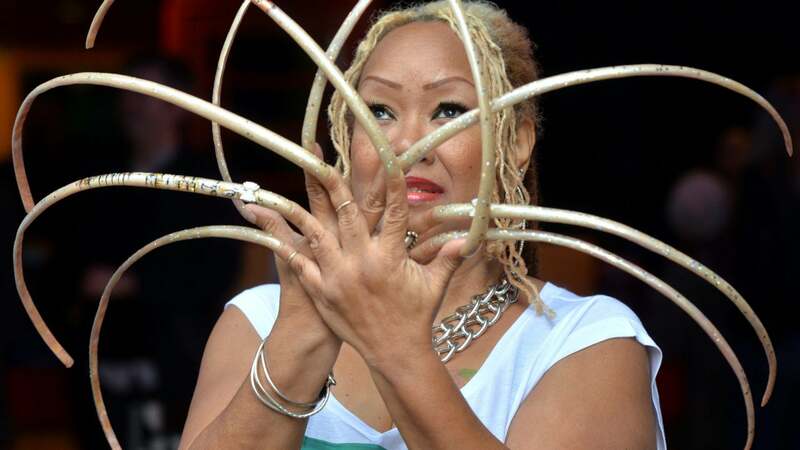 It took one Texas woman around 20 years to break the 2018 Guinness World Record for the world’s longest fingernails for a female. Ayanna Williams spends 20 hours and uses two bottles of nail polish to paint her shiny and colorful nails that stretch 18 feet and 10.9 inches long. And the day-to-day upkeep is just as arduous. Williams wouldn’t be able to have such long nails if she didn’t have help from her granddaughters who do chores around the house. She can’t wash dishes and has to use a pencil or one of her knuckles to use the computer or her cell phone. “Sometimes if I’m eating popcorn I use a spoon,” she says, adding that she also has a problem with eating hamburgers in public. What would it take for her to cut them?